I have always been a fan of those little Mexican wedding cookies that you see in the store. I thought that they had to be difficult to make so I was always scared to make them. Recently I was part of a cookie exchange. I decided to make these cookies to share but when I made them they didn't stay together well enough for me to ship them. So I did the next best thing. I decided we would eat them and I would just make another type of cookie. These little gems are so addicting and I couldn't just eat one, or two, or three. There is just something about a little cookie you can just pop in your mouth. Did you notice, they are made with pecans! How could they not be good. Preheat oven to 350 degrees F. Spread the pecans on a rimmed baking sheet and toast in oven, tossing occasionally, until fragrant, 6 to 8 minutes; let cool. In a food processor, process the pecans until finely ground. In a large bowl, whisk together the ground pecans, flour and salt; set aside. Using an electric mixer, beat the butter and 1/3 cup of the sugar on medium-high until light and fluffy, 2 to 3 minutes. Beat in the almond extract. Reduce mixer speed to low and gradually add the flour mixture, mixing until just combined. Shape the dough into balls (about 1 tablespoon each) and place 2 inches apart on baking sheets. Bake until just beginning to brown, 12 to 14 minutes. Let cool slightly on the baking sheets, then transfer to a wire rack to cool completely. Place the remaining sugar in a bowl. Roll the cookies in the sugar to coat. 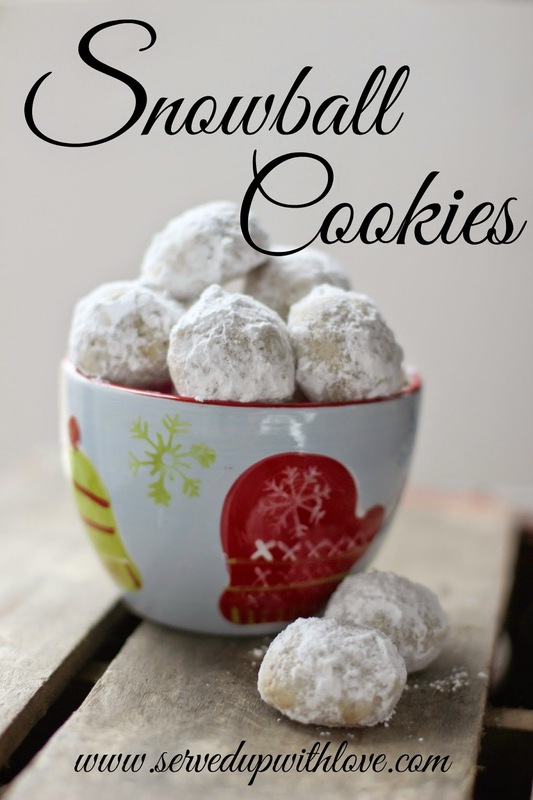 I love snowball cookies, especially when made with pecans and almond extract. They look delicious! Good thing you got to keep them!